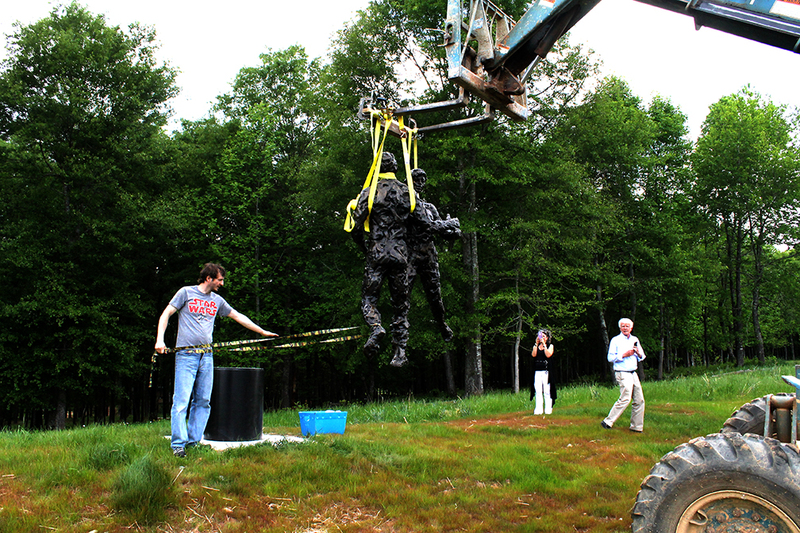 In the months following Serenbe’s first charette back in 2000, sculptor Marty Dawes of Cherrylion Sculpture Studios brought back a maquette, or small-scale model of an unfinished sculpture. It showed a man and woman dancing — each had one leg kicked out behind them and the other legs combined into one on the ground. Steve and I were completely taken with it because Marty had honed in on the essence of Serenbe and how it’s a dance between masculine and feminine energies. And there it was in 3D form. We knew that one day we’d have him create it for Serenbe. Last April, a full 15 years later, Steve mentioned he wanted to stop by Marty’s studio before our dinner at Bacchanalia to celebrate our 32nd wedding anniversary. When we walked in, there was a bigger maquette of the original sculpture — about three feet tall and on a stand. “Happy anniversary,” Steve said. 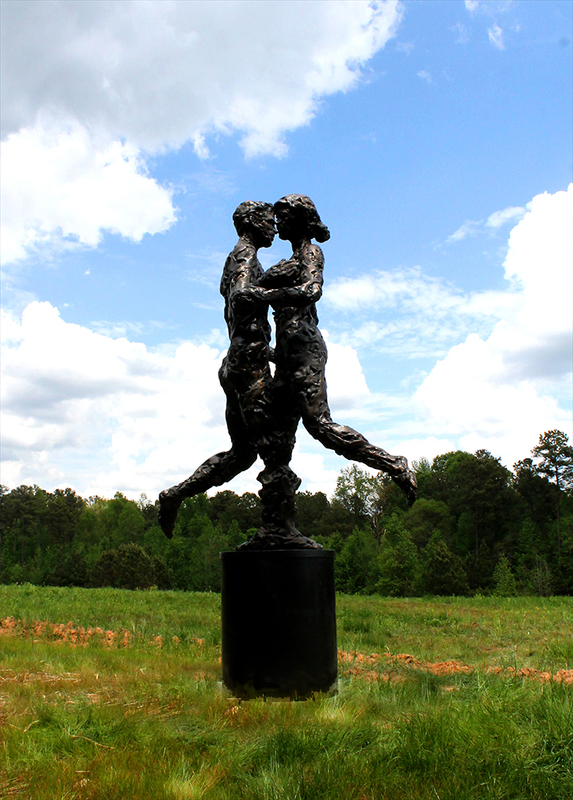 The sculpture, named The Dance, arrived and was installed one year later, just in time for our 33rd anniversary. The day coincided with the Serenbe Playhouse gala, so we asked all the kids to be at our house beforehand. We toasted our anniversary with Champagne and walked deep into the wildflower meadow to see the statue as a family. I asked everyone to save the last sip of Champagne and we all poured it around the statue to christen it. What I love most about the sculpture, besides its rotating base that makes it look like it’s dancing, is that it’s textured, like Marty put the clay on piece by piece. It’s not smooth. It’s all the cracks and crevices that we bring to our relationships and make us human. 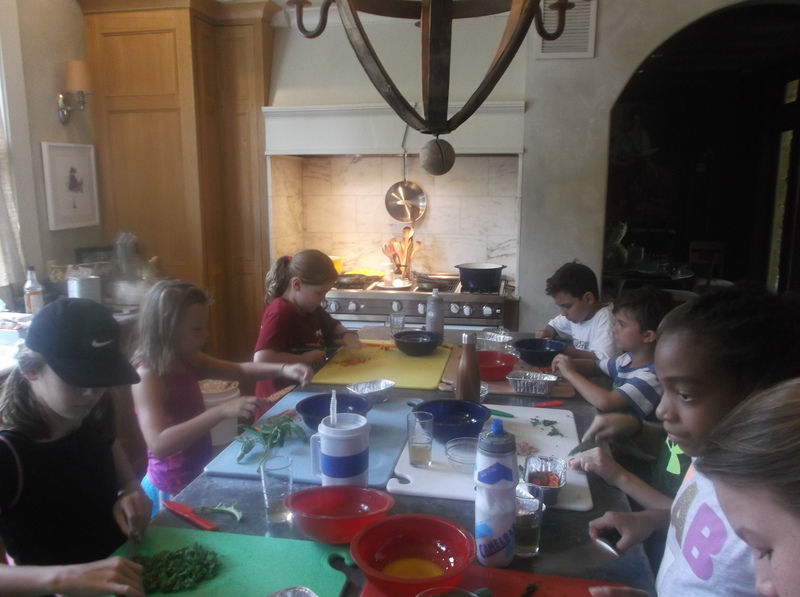 If you peeked into my kitchen during the kids cooking camps I held this summer, you would’ve seen 10 kids, 20 adoring eyes watching me and 10 little mouths responding, “Yes, Miss Marie” to my questions. You have to at least taste it. The kids garden in the morning, either at the farm or Inn garden, then bring me what they’ve harvested. While we wash and chop — knife safety is part of the instruction — we talk about what I call the vital necessity of fresh. Why buy salad dressing when you can make your own? It’s fun to watch them taste different lettuces and vinegars and learn the difference between oils. Most of them have never had kohlrabi, which I can understand, but they have to taste every ingredient before they pass judgment. I assure them I’m not going to give them cow brain. Just like the past two years I’ve hosted this camp, we do a set menu. Monday was pasta, Tuesday was salad and Thursday was blueberry cobbler. Everything is super simple and can be easily replicated at home. On Thursday I did a frittata, which is a baked egg pie with no crust. In Spain, they use it for tapas and it can be served at room temperature. It’s one of my mainstays for a brunch or lunch buffet party. With a well-oiled cast-iron skillet, some eggs, meats, vegetables and cheeses, a child can make it and feel like they’ve made dinner. 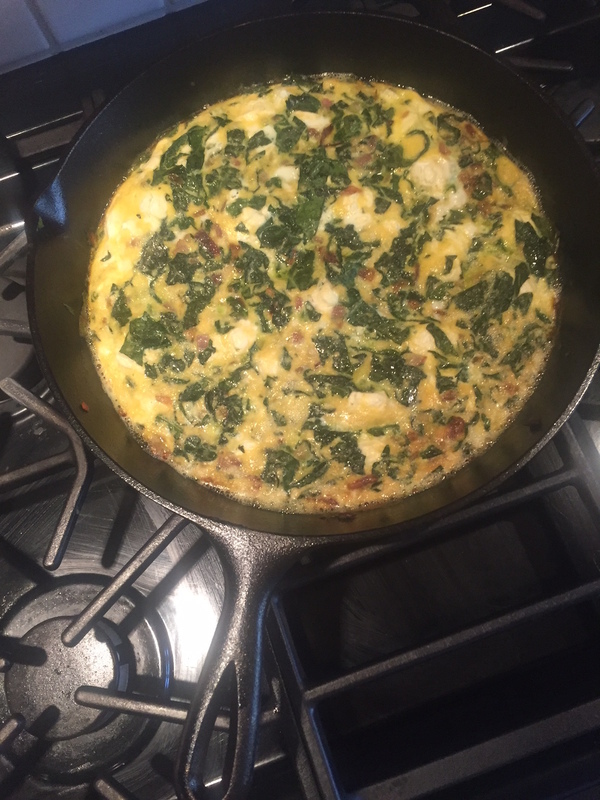 This is my favorite frittata recipe. 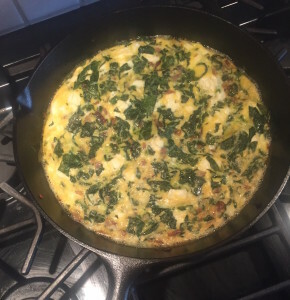 The beauty of a frittata is that you can do any ingredients you so desire as the kids did for camp. We had 10 different combinations! In a 10 inch cast iron skillet, heat oil over medium heat. Stir in onions to coat and turn heat to low. Cook for 30 minutes until golden. Meanwhile, crack eggs into large bowl and whisk. Add desired amount of salt and Tabasco. Add garlic to onions. Cook one minute. Then add kale, turn up heat and sauté until bright green and tender. Add eggs and cheese. Stir to combine. Place in oven and cook 20-25 minutes until puffed and golden. 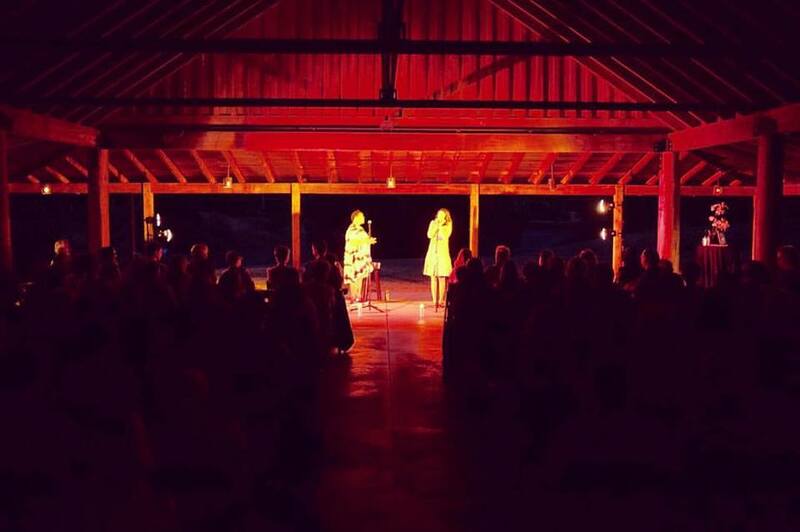 A few weeks ago, Steve and I attended “An Evening with Sarah Kay and Mahogany L. Brown,” a spoken word performance at The Inn at Serenbe Pavilion. Sarah is a bestselling author, TED speaker, the founder of Project VOICE and a three-time alumnus of Serenbe’s Artist in Residence program. California born and Brooklyn-based, Mahogany is a writer, educator, activist and the recipient of the SWACC! Focus Fellowship. This was her first experience living and working in the country. The enormous caliber and quality of their talent aside, the performance was nothing short of incredible. And it was one of those moments where Steve and I turned to each other and said: Can you believe this is happening in our woods? I adore poetry and it means so much to me that, through the AIR Serenbe program, we can give artists like Sarah and Mahogany a place of respite where they can really go deep and work on their words. Then they take their work back out into the world where it can soothe, excite or enlighten audiences. Everyone who comes here becomes a spokesperson for what time and nature can do for your soul … and your soul’s work.